Membership Luncheon - Giving Thanks for Giving Back BINGO!! 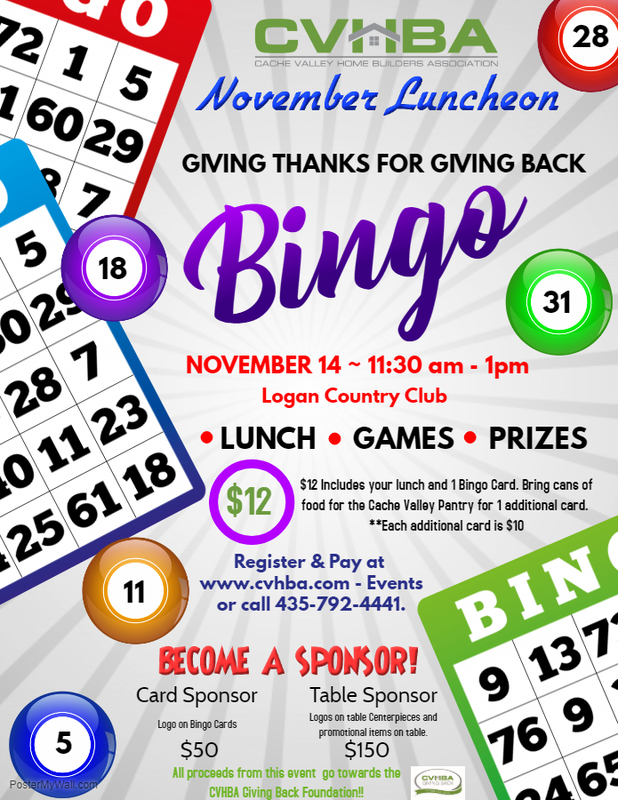 Name: Membership Luncheon - Giving Thanks for Giving Back BINGO!! Contact Kristi at 435.792.4441 to become a sponsor! !